Do you dread growing old? The Last Third of life, from age 60 on up, doesn't have to be feared. When viewed from a Christian perspective, this season of life can be meaningful, endurable, and even joyful, say authors Jane Thibault and Richard Morgan. Thibault and Morgan suggest approaching the Last Third as a pilgrimage—a journey full of purpose, ripe with opportunities for spiritual growth. 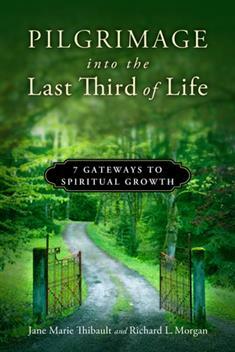 This collection of scripture-based meditations will inspire you or someone you know to move fearlessly into the Last Third, looking forward to the opportunities this time of life can hold. The book includes reflection questions and can be used by individuals or groups for a 7-week study.